WSS Wireless Sensors (WSS) are the WINECAP solution optimized for control and control applications. These applications typically use real-time data from the field to implement control strategies and do not require historical data continuity. Unlike the WSD (Wireless Smart Datalogger) family, these probes do not have internal memory and only send measurements at the time they are run. The family includes probes for the measurement of various physical quantities and each probe can acquire one to four sizes (channels) depending on the model. The interval between the individual measurements is configurable by the user and for each measuring channel you can set up to two alarm / pre-alarm thresholds. 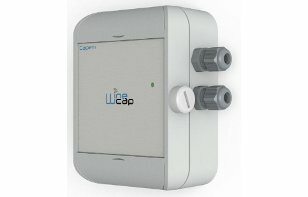 The WINECAP wireless technology uses sophisticated encryption and error correction algorithms to allow secure, reliable wireless communication over long distances with extremely low power consumption.